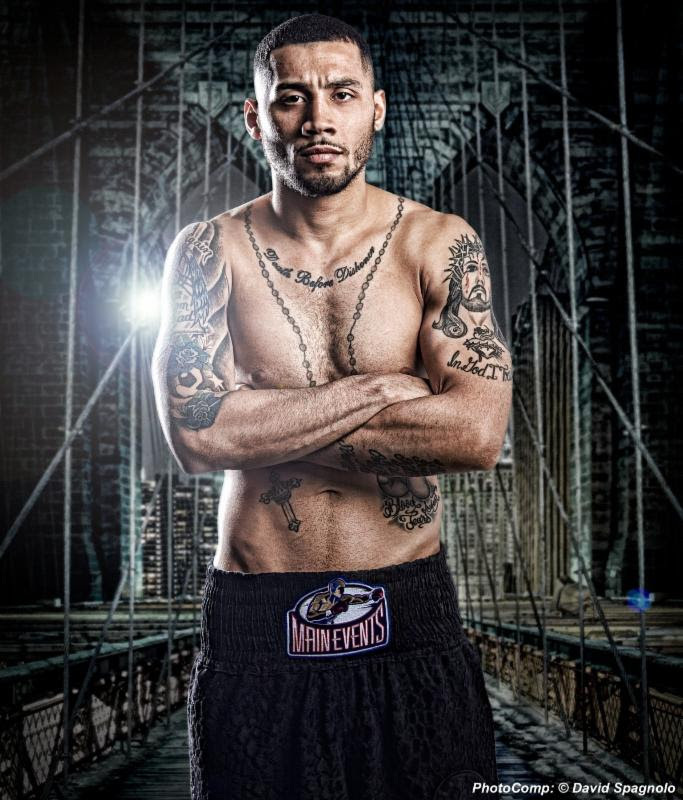 The old Frank Galarza (18-2-2, 11 KOs) is back and his timing couldn’t be better. In his second fight coming off of a 14-month layoff after suffering two difficult back-to-back losses, Galarza put together a strong performance at The Theater at Madison Square Garden on the Kovalev vs. Shabranskyy undercard, winning with solid scores in a unanimous decision. Galarza returns to “his house,” the Mecca of Boxing, again on March 3 on the non-televised undercard of Sergey Kovalev vs. Igor Mikhalkin in a junior middleweight bout against veteran Ed Paredes (38-7-1, 25 KOs) of Fort Lauderdale, Florida. Galarza, now 32, said he knew he had to keep fighting. “My thing was to never quit. It’s easy to hang it up. Something inside me told me not to. Keep driving, keep seeking, keep pushing, keep asking,” said Galarza. Galarza also found motivation in Youth Fighting Forward, the foundation he started in 2014, dedicated to engaging kids ages 8 to 17 of all backgrounds whether affected by crime, poverty, or simple low self-esteem through boxing and mentoring. Galarza saw a way to help kids who come from a background like his own — without family or other support systems — through boxing and mixed martial arts, along with a range of educational strategies. In a fitting twist, it was the kids who inspired Galarza to get back in the ring himself. Galarza said when he visits schools and tries to provide motivation, “A lot of them look at me and relate. They look up to the fact I was able to do it, had the confidence to do it. Just speaking to me gives them the confidence to do it. I know what it’s like not to have people believe in you. That makes them want to strive for something,” and it encourages Galarza to strive as well. Back in the win column, the Brooklyn native says he finally feels like his old self. “I feel like my last fight, I needed to get my ferociousness back, the old Frank Galarza, my ‘Notorious.’ I needed to get back where I needed to be,” said Galarza. Galarza said he can’t wait to get back in the ring. “I’m comfortable, I’m back. Boxing sometimes takes a toll on you. It’s a love-hate relationship. I had to find the love again. The last fight brought the love and passion back. People can expect to see my passion for the sport” on March 3, Galarza promises fans.